Ready for lessons? We all have to start somewhere. After a few quick lessons, you will soon be playing with your friends. Let's start with some background. Chess is an easy game to learn. It takes a lifetime to master. Chess is an international game with roots in India, China and later Europe. It is played on every continent in the world using the same rules. The game you learn today will be the same game you will play with your grandchildren. In fact, chess players are known to pass this game on to friends and future generations. You can learn this game now, and carry it with you for a lifetime. Once learned, it one can never be taken away from you. It is yours. Take time now to learn. Having the skill of chess may open doors to new people and opportunities throughout your life. When you play chess, conversations begin. These conversations lead to friendships that can last a lifetime. You can sit in front of a board anywhere in the world and play this game with anyone - sharing the same language is not required. Below you will find short videos on how to play each piece. We will cover this more in detail when we meet in person. While the videos do show how the pieces move on their own, they don't show how the pieces move together to capture the opponents king. That is the strategy part. You may develop your own strategies, or use those of famous players you will learn about when jumping into our group. You may be a shy person in life, but be assertive on the chessboard. The board gives you the opportunity to become the player (person) you would like to "try on" without risk. . Like in life, finding opportunities to play (interact) with other players different than you will give you the richest and widest experience in the game. Playing with the same opponent multiple times can limit your experience and love of the game. Enough talk. Let's get started. Each student at Wakefield has a chess board on their MacBook! You will find a chess app under applications. Drag the icon to your desktop or toolbar. 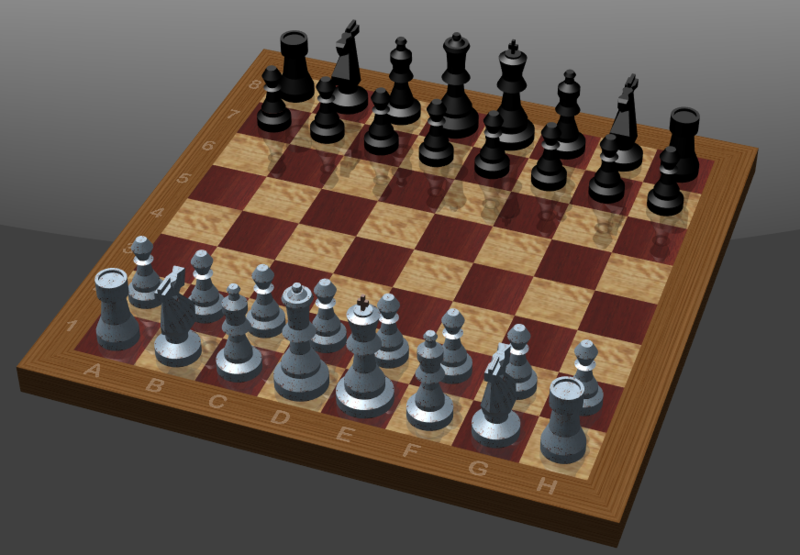 If you click on the bottom right corner of the board, you can rotate it in three dimensions. Set the timer to faster moves for easy play. Longer moves allows the computer more time to make better moves. To play, left click on the piece you want to move, and then drag it to the square you intend to stop. If the move is legal, the game piece will update to its new position.